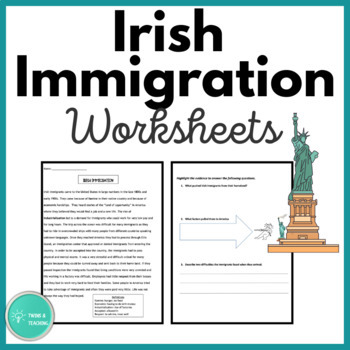 Reading passage and questions about Irish Immigration during the Industrial Era. Students are asked to highlight evidence from the text to complete the questions that follow. Also includes definitions of difficult words for varying reading levels.